Teutônia, Rio Grande do Sul, Brasil. Permission of Elisabeth Fiegenbaum Villasboa; all rights reserved. 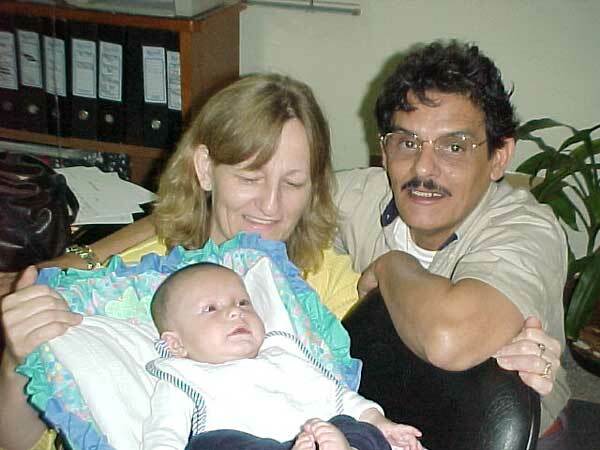 This is a photo of Elisabeth Fiegenbaum Villasboa, Carlos Enrique Villasboa Casco, and their son, Bruno Anastasio Villasboa Fiegenbaum. The family lives in Teutônia, Rio Grande do Sul, Brasil.